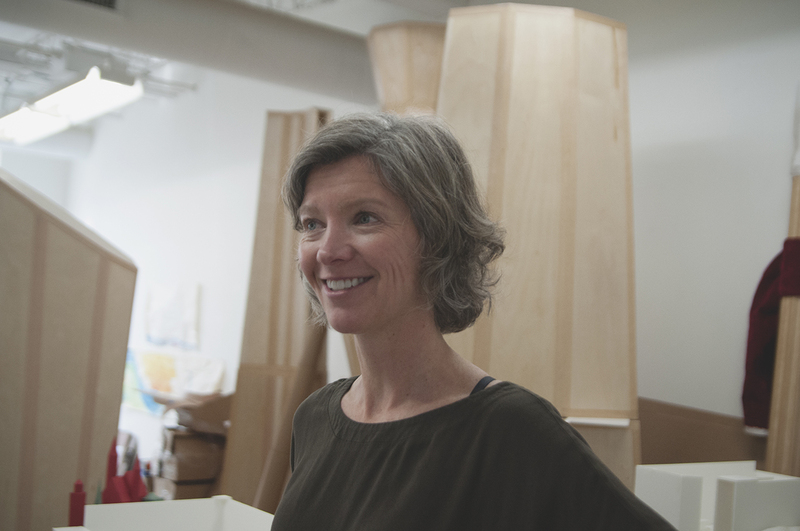 Kelly has previously produced large-scale installations, focusing on the stage as a site of inclusive narrative-building through works produced for the University of Buffalo Art Gallery and the Hyde Park Art Center. 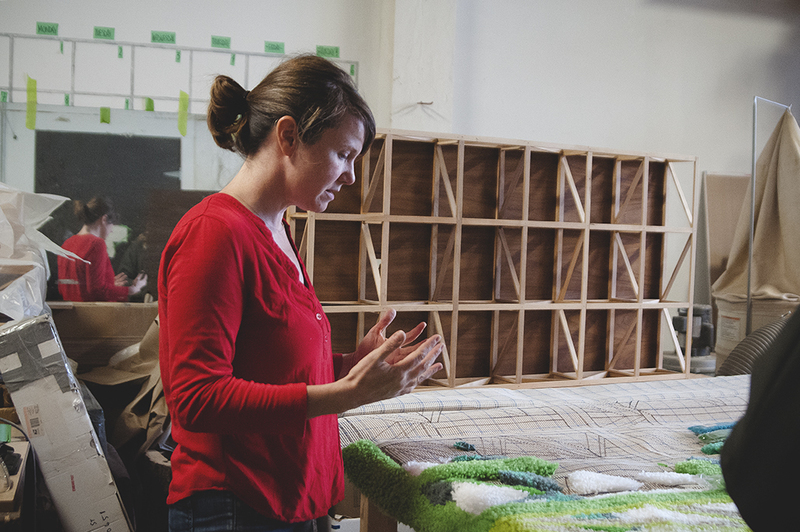 Kelly’s adopted roll of director turned her focus inward to the studio, observing the choreography associated with the performance of making. 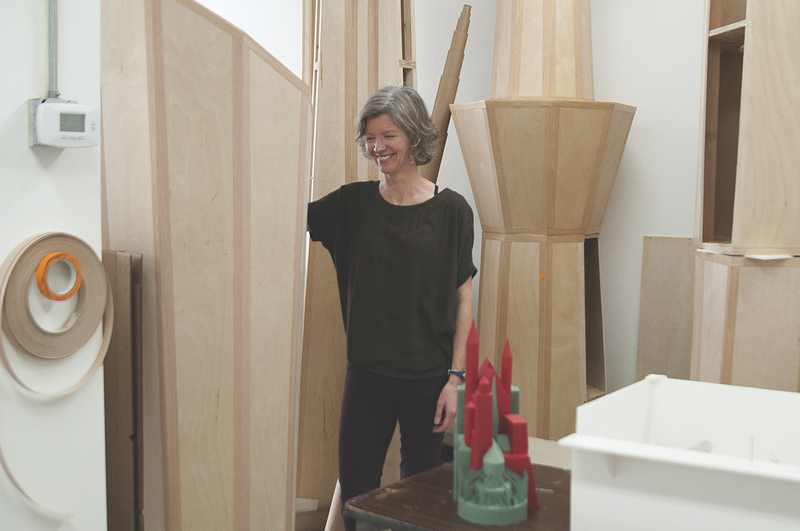 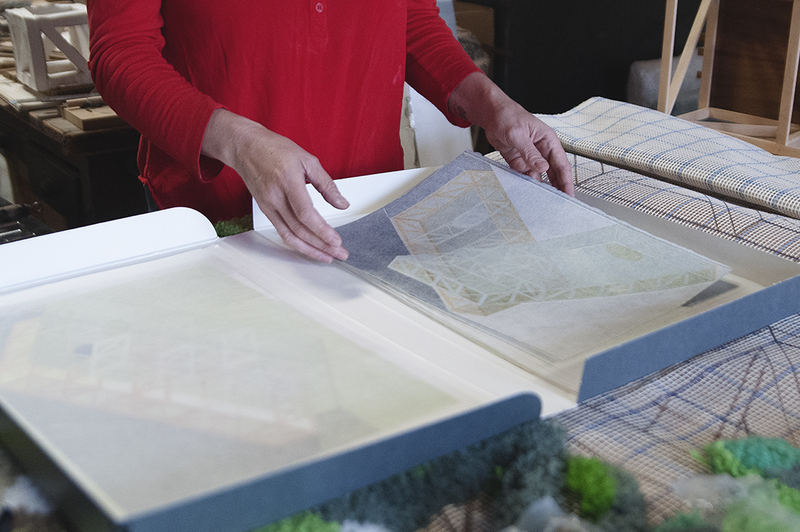 Recently Kelly has begun to deconstruct the stage by letting its objectness inform her work—obscuring its shape through video, and building upon its form through print.